Want to stay warm? Want to extend your scuba diving season? Then dive dry. There is incredible diving in the world’s cooler regions, and in some areas conditions are even better in colder months. Becoming a dry suit diver allows you to expand your boundaries and dive more places, more often. If you’re at least 10 years old and certified as an Open Water Diver or higher, you can enroll in the Dry Suit Diver course. The first thing you’ll discover is which dry suit style and accompanying undergarments are right for you and the diving you’ll do. Then you’ll learn how to take care of your dry suit. 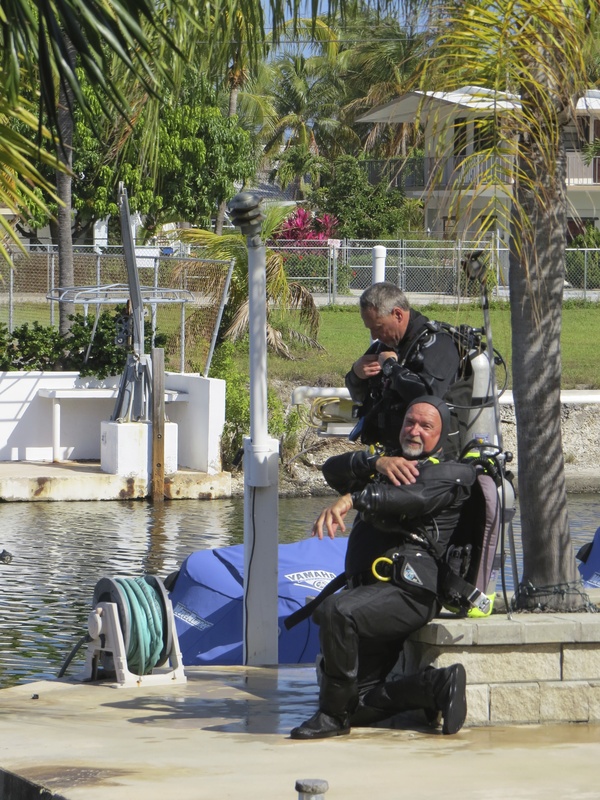 This one day course involves two open water dives, in addition to one confined water dive, where you’ll practice putting on and taking off your dry suit with minimal assistance, mastering buoyancy control using your dry suit, and dive safety procedures when using a dry suit. Contact me to obtain the PADI Dry Suit Diver Manual and Dry Suit Diving video.